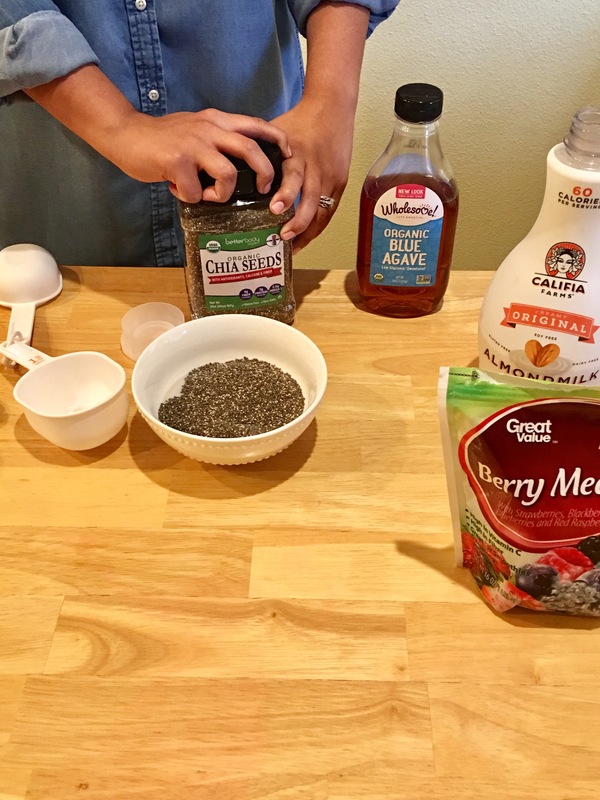 For today’s post, I wanted to share with you guys a snack that got me through college (and one that you’ve probably all seen if you’re on Pinterest at all)- chia seed pudding. Honestly, this snack is so good and crazy easy to make. Unbelievably easy and supremely delicious. I’ve always been big on snacks, and as a kid I had an affinity for tapioca pudding- for both the flavor and the texture. This much healthier version gives me the same satisfaction of a sweet treat without feeling guilty afterwards. This takes probably a total of 2 minutes to make. Mix a cup of milk with however many scoops of chia seeds you desire (aka 300 for me) and add in your sweetener. I used a tiny bit of agave (since the milk I had was already sweetened), but I’ve used drops of Stevia before as well. Then pour into a mason jar. Add some berries to the top, close it, shake the jar a few times to prevent settling of seeds and refrigerate overnight and voilà! You have a healthy, sweet treat you can eat on the go. *I also usually add a little plain Greek yogurt to thicken it up, but I didn’t have any on hand! The best thing about chia seed pudding is that it’s incredibly versatile. A quick search on Pinterest will show you that once you have your milk + chia base, you can make an endless amount of pudding varieties. Def thinking about trying this chocolate one next! 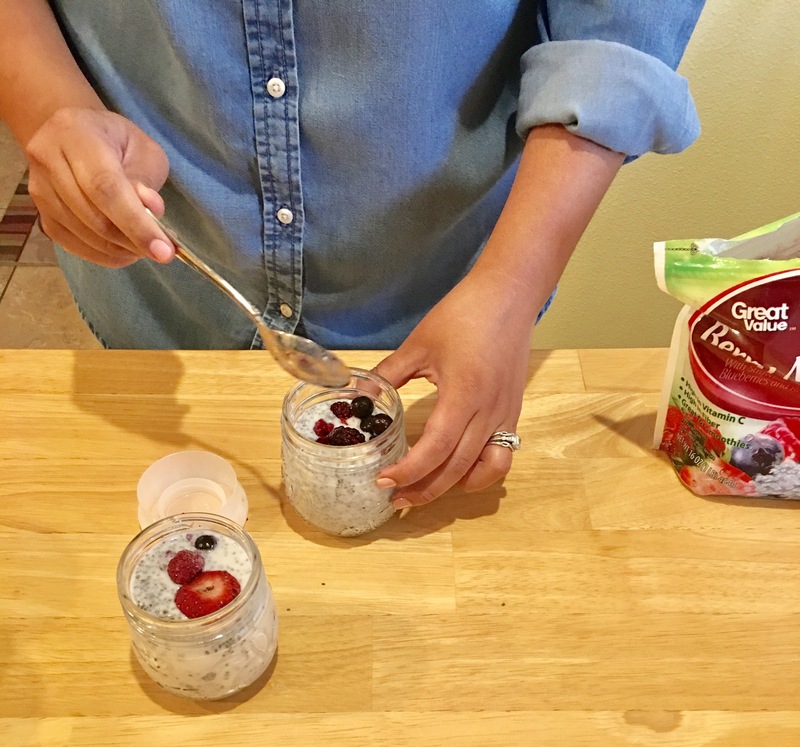 Which is your fave chia seed pudding recipe?